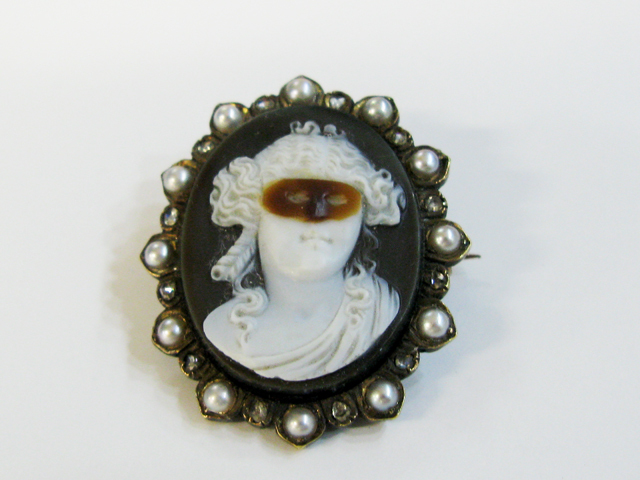 A beautifully carved Victorian brown white and dark grey hardstone cameo brooch of a masquerading lady, approx. 27.0 x 20.0mm with 12 seed pearls, approx 2.8-3.0mm and 12 rose cut diamonds, est. 0.10ct (clarity (I-J & SI colour).